A wonderful virtuosic encore piece. Possibly the most famous tango melody of the genre, La Cumparsita was originally a little march composed by Uruguayan architecture student Gerardo Matos Rodríguez on an uncertain date between 1915-1916 for the carnival marching band to play during upcoming celebrations. The first sheet music for the tune was published in Montevideo, Uruguay in 1916 and the following year in Buenos Aires, Argentina. 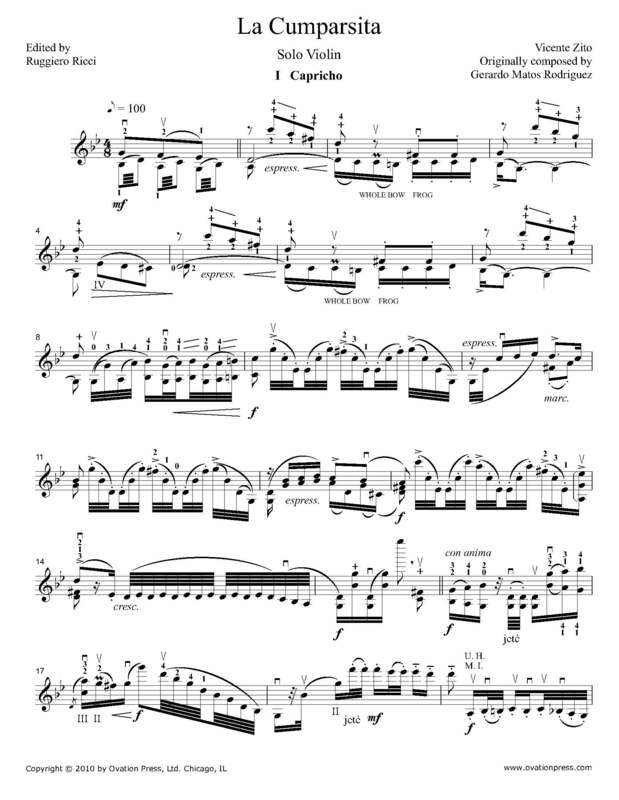 Published for the first time, this virtuosic violin solo was arranged by Vicente Zito in Mendoza, Argentina and edited by Ruggierro Ricci.